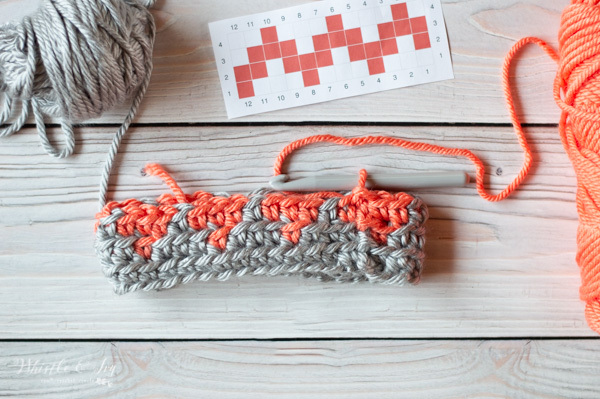 Your quick crochet tip of the week: how to keep your yarn from getting tangled when working with two colors. You will be surprised at how easy this little tip is, and how much frustration and time you will save by using it! Be sure to scroll down and watch the video. Hello! Today is the very first Tip Tuesday blog post of my new Tip Tuesday series! 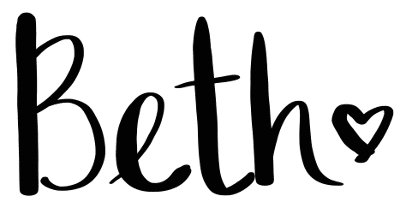 All of my Tip Tuesday tips will be on my blog, but if you don’t want to miss any useful crochet tips, be sure to opt-in to my weekly emails. 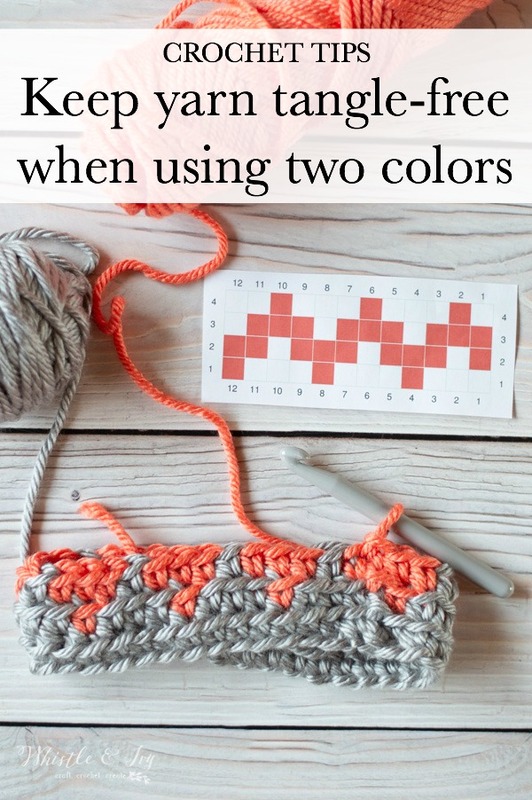 Today’s Tuesday Tip explains how to keep your yarn from getting tangled when doing color work crochet with two colors. 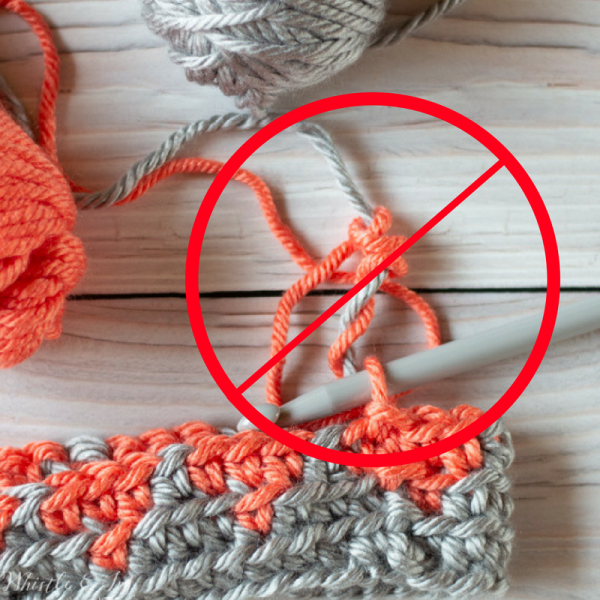 This simple technique will save you lots of frustration and will save you time as you won’t need to stop and untangle your yarn after each row. Since this technique is better watched then explained, I have made a video! Watch it below to get this simple tip. Video won’t load? Watch in Youtube here. Can you believe how easy this is? It’s incredibly useful when you are doing anything plaid, as you are constantly changing back and forth between two colors. Say goodbye to tangled yarn! Thank you for this tip ! I never thought of that, it is such a simply and useful technic ! I just watched your video for the Flip Flop keychain and it is adorable! Definitely will save and make as gifts. Thank you and can’t wait to view more videos. So glad you liked it! You are very welcome! No video for me also!! Did it disappear before I got a chance to see it or was it just never there????? This is strange, I see it when I load my own page. I have emailed my developer, I am not sure what is happening here. Do you use an adblocker? Adblockers prevent my videos from loading. Is this the video you intended to put in your article? Thanks Victoria! I put a video in the article, but those with ad-blockers can’t see it. I am having the same problem……..no video. Do you use an ad-blocker? It won’t load if you do. The video is there under the capital words. If you have an ad-blocker, this may block the video from loading. Do you have an ad-blocker installed? This will block my videos from loading. Thank you for your Tip Tuesday, I am always having problems with multiple colors getting tangled. This was very helpful for me and I look forward to checking out every Tip Tuesday. I scrolled down and didn’t come to the video. How do I find it? I need to keep my yarn from tangling. Do you currently ave an ad-blocker installed? The ad blocker blocks my videos from loading.